If you did not know it, we at The Bee Ranchers handcraft our own hive stands. Learn more about it HERE. Every once in awhile we’ll be approached by someone to make a custom hive stand. These are fun projects for us as it allows us to be a little more creative and a lot more collaborative with our clients. Recently friends of ours inquired about developing a custom hive stand. 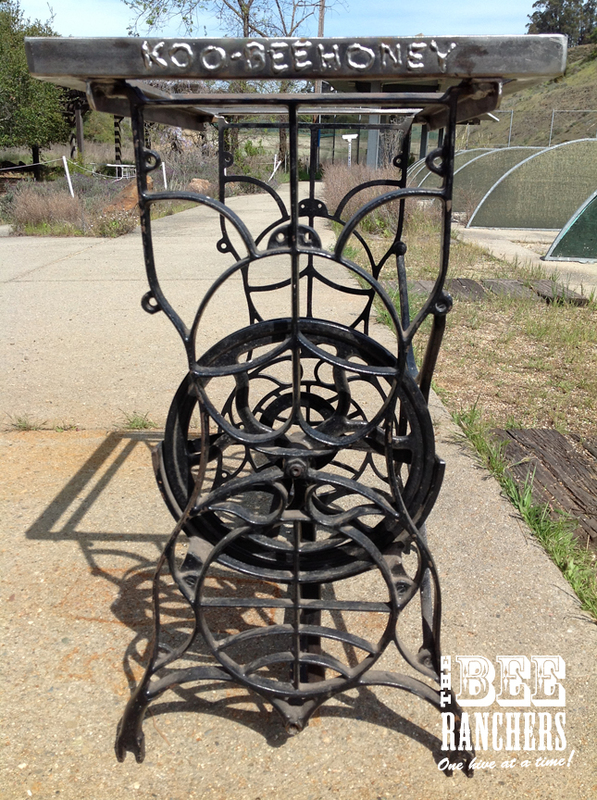 They had an old sewing machine stand they wanted to utilize and we worked with them to make it a reality. Very creative idea and one we are proud to have assisted to make a reality! A real piece of garden art! Do you have an idea for a custom hive stand? Contact us and perhaps we can help develop it with you. This entry was posted in Gardens, Hive Stands by beerancher. Bookmark the permalink.